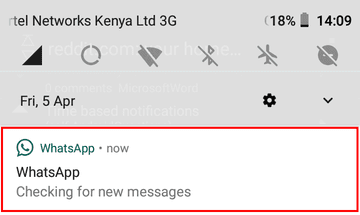 The "Checking for new messages" is a WhatsApp notification that appears in your Android's notification panel usually because you're on a slow network. Often, the notification appears for a few seconds and disappears on its own. In some cases, however, the notification stays in the panel until you clear it manually. This happens when the internet connectivity issue has persisted for longer than usual. At this point, the notification may even change to a different WhatsApp notification that you may noticed if you experience this issue often. This is the equally annoying "You may have new messages" notification which fortunately you can disable separately in much the same way as this one. In Android 8.0 (Oreo) and later it's possible to turn on and off specific notifications for apps. 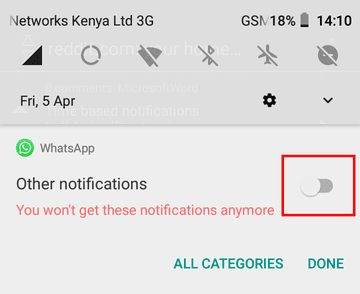 This means therefore that you can turn off this particular WhatsApp notification without having to disable others. 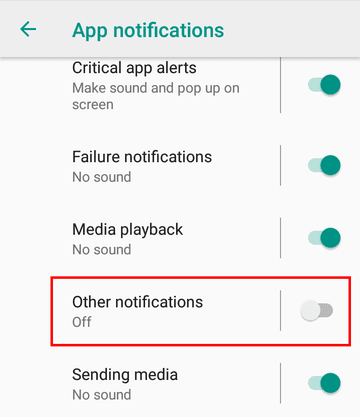 On Android 7.0 (Nougat) and below you cannot disable notifications based on categories. You'll therefore be forced have to block all notifications for WhatsApp to disable this specific notification. This will disable normal chat and group message notifications so it's not ideal if you wish to still get those notifications. 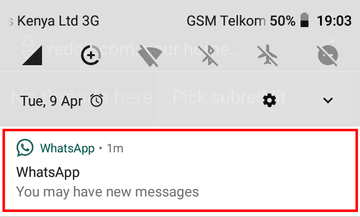 As stated earlier, this notification typically degenerates to the "You may have new messages" notification if WhatsApp is unsuccessful in checking for new messages. This particular notification however is not merely a symptom of a poor network and may also be as a result of activating data saver or restricting background data. Fortunately, these two things are possible to turn off inolder versions of Android as I've explained here. Try disabling them if you have them activated and see if that gets rid of the notification.